More than 50 attacks on activists and human rights defenders in Ukraine have been recorded by local human rights organisations in just the last nine months, Amnesty International, Human Rights Watch, Freedom House and Front Line Defenders said today. Those under attack include people working to defend the rights of lesbian, gay, bisexual, and transgender (LGBT) people, protect the environment, and campaign against corruption. The organisations criticised the lack of effective investigations into these incidents and of prosecutions of those responsible, which heightens the risk to human rights defenders and sends a message that the authorities tolerate such attacks and assaults. Recently, the prosecutor general suggested that civil society activists brought the attacks on themselves <https://www.pravda.com.ua/news/2018/09/27/7193378/&gt; for criticising the authorities, giving an impression that human rights defenders can be openly targeted. In most cases, the attacks have targeted individuals or groups that campaign against corruption in the local community, shine a light on the operation of local government and businesses, or defend people’s rights. The purpose of such attacks is clear: to silence activists and human rights defenders and to discourage others from speaking out against injustice and standing up for human rights. Two recent examples of the kind of vicious attacks that have yet to be effectively investigated took place on 22 September, in Odessa and Kryvyi Rih. Oleh Mikhaylyk, an anti-corruption activist, was shot in Odessa, in southern Ukraine, and remains in the hospital. Mikhaylyk had campaigned with the Syla Lyudei (People’s Power) movement against illegal construction in Odessa. Three hundred kilometers away, in Kryvyi Rih, unidentified assailants broke into the home of Artem Moroka after he criticised the local police on Facebook. The assailants severely beat him, breaking his nose, Moroka told Ukrainian human rights monitors. In June, an environmental activist, Mykola Bychko, was found dead under suspicious circumstances in a village in Kharkiv region. Villagers found Bychko hanged in the woods near the village of Eskhar on June 5. The local police initially started a suicide investigation, but have yet to investigate the possibility that he was killed in connection with his activism. At the time, Bychko was documenting the pollution of a local river, allegedly caused by a nearby waste treatment plant. A lawyer representing Bychko’s family questioned the conduct of the local police for ignoring the possibility that this was an intentional killing, and for allegedly intentionally delaying the investigation. The lawyer told Freedom House that police lost relevant evidence from the site where Bychko’s body was found, such as the rope from the improvised gallows. The authorities have also not pursued allegations that Bychko had received threats related to his documentation work, such as questioning people from the waste treatment plant. On July 31, an unidentified assailant threw acid on Kateryna Handzyuk, a local council member who monitored police activities, in Kherson. ………. The Ukrainian authorities should take effective steps to prevent further threats and attacks against activists and human rights defenders, and ensure prompt, thorough, impartial and independent investigations into such threats and attacks and bring those responsible to justice in fair trials. The Interior Ministry, the National Police, the prosecutor general’s office, and other relevant institutions should explicitly recognise the important work of human rights defenders in protecting human rights and uncovering corruption. The authorities should publicly denounce any threats and attacks against human rights defenders. They should take decisive measures to ensure that government critics can work in a safe and enabling environment in which they can exercise the rights to freedom of expression, peaceful assembly and association, and conduct their activities without fear of reprisals. Having just blogged about the annual report of HRW and AI USA (see links below), I hasten to say that there are several other annual reports referring to President Trump’s damaging effect on human rights and democracy. 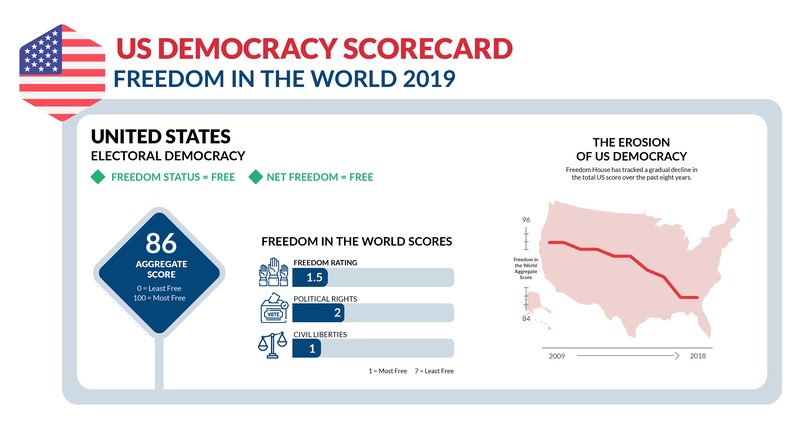 Freedom House, for instance, issued its annual report 2017 which pointed out that Trump’s penchant for attacking civil society groups, the media, and even the courts have a tangible, negative impact, stating that, “the administration’s statements and actions could ultimately leave them weakened, with serious consequences for the health of U.S. democracy and America’s role in the world.” The report noted that under Trump, the United States has seen the sharpest drop in political rights and civil liberties in over 40 years. 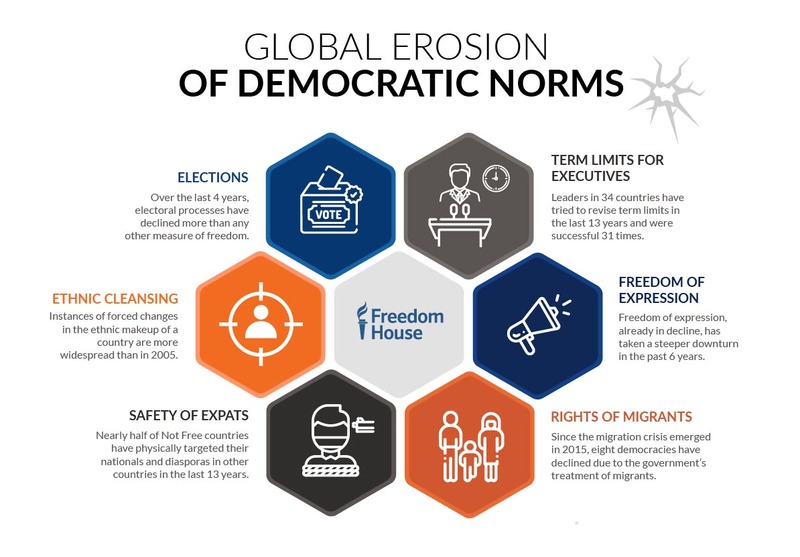 On 5 May Daniel Calingaert, Executive vice president of Freedom House, contributed an interesting piece to The Hill, in which he argues in favor of ‘targeted sanctions’ against leading individuals who have committed serious human rights violations or engaged in corruption. “Holding torturers and kleptocrats to account” certainly makes some excellent points including the realistic one that countries should be “strong and confident enough both to cooperate with authoritarian governments where prudent and to still hold their human rights abusers and corrupt officials to account“. “On May 5, the European Union’s Court of Justice will hear a complaint by the head of Iran’s state broadcaster, Mohammad Sarafraz, and the news director of its English-language channel, Hamid Reza Emadi. The EU imposed a travel ban and asset freeze on them because they broadcast forced confessions by tortured or mistreated political prisoners. Sarafraz and Emadi want the restrictions lifted. But even if they lose their case, they can park their money in the United States, because they aren’t on a U.S. sanctions list. Their case shows that sanctions hurt human rights abusers and corrupt officials, as intended. And that’s a key selling point for the bipartisan Global Magnitsky Human Rights Accountability Act (S. 284/H.R. 624) being debated on Capitol Hill. The bill, based on Russia-specific sanctions legislation adopted in 2012, would begin to hold human rights abusers and corrupt officials to account around the world by denying them U.S. visas and access to our financial system. 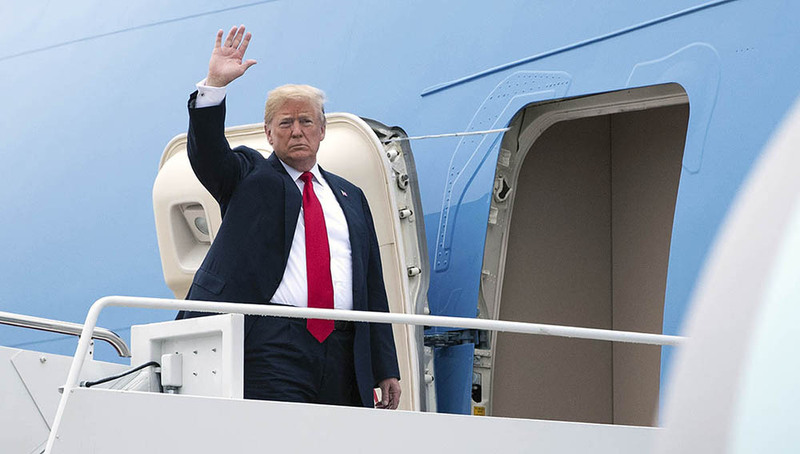 Aside from the Russia-specific sanctions, executive orders have imposed sanctions on human rights abusers in Iran (though the U.S. sanctions list for Iran is significantly shorter than the EU’s) and on seven Venezuelan officials. Targeted sanctions on human rights abusers should be expanded worldwide, because authoritarian rulers and their lieutenants are driving a global decline in respect for human rights. 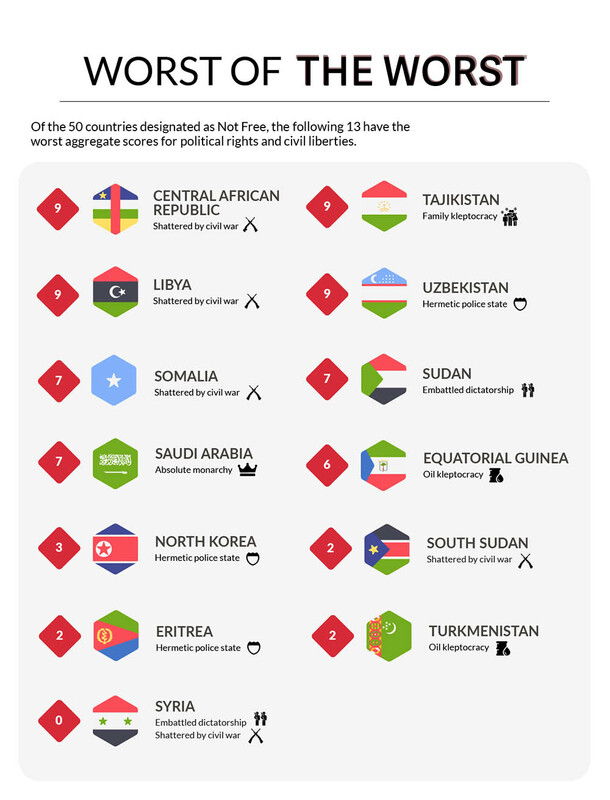 According to Freedom House’s ratings, media freedom has fallen to its lowest point in 10 years, and political and civil rights overall have deteriorated for nine consecutive years. Targeted sanctions as envisioned by the Global Magnitsky Act could start to turn this trend around. It would build on current policy of condemning human rights abuses and supporting human rights defenders by actually going after the perpetrators of abuses. Perpetrators are usually shielded by their government and expect to evade justice. If a penalty loomed over their head, they may think twice about committing their crimes. By imposing consequences on individual abusers, the Global Magnitsky Act would force authoritarian rulers into a difficult choice: either to protect the most repugnant officials and thereby expose the cruelty of their regimes or to cut loose the officials who do their dirty work and keep them in power. A Global Magnitsky Act also targets high-level corruption — the Achilles heel of authoritarian regimes. While human rights might seem a bit abstract to ordinary citizens, corruption is all too real. Citizens understand what’s wrong with corrupt officials getting rich at the public’s expense while everyone else struggles to make ends meet. Corruption often fuels human rights abuses. Because corrupt officials stand to lose their ill-gotten gains if they leave office, they will go to ever-greater lengths to hold onto power. Former Ukrainian President Viktor Yanukovych was a prime example. As he and his family amassed enormous wealth, he tightened media restrictions, selectively prosecuted opposition figures and increasingly manipulated elections. Under the Global Magnitsky Act’s targeted sanctions, no country would be singled out. And it would apply to countries like China and Saudi Arabia that tend to escape criticism for their human rights abuses because of U.S. economic or security interests. The executive branch would decide whom to sanction. But it would have to listen to Congress’s input and explain its decisions. And chances are that governments with an extensive apparatus of repression would end up with more than seven officials on the sanctions list. If passed, a Global Magnitsky Act probably will elicit some angry responses, like Venezuela’s cryabout “a new escalation of aggression” and “extraordinary threat” from the United States. But authoritarian governments can’t give an honest response, because they can’t admit that they harbor officials responsible for human rights abuses and large-scale corruption. If China’s leadership were sincere, it ought to welcome a Global Magnitsky Act for reinforcing President Xi Jinping’s policy of cracking down on corrupt officials and stemming their flow of assets abroad. The prospect of angry reactions shouldn’t discourage the introduction of the Global Magnitsky Act. The United States always meets resistance when it champions human rights, because authoritarian governments prefer to avoid responsibility for their violations. We shouldn’t let their officials abuse their power and then benefit from our legal protections. Holding torturers and kleptocrats to account | TheHill. Under this campaign, the participating Lithuanian parliamentarians, who represent the governing and opposition political parties alike, take the responsibility to follow the cases of particular political prisoners in Belarus, meet with their relatives, and speak publicly both at Lithuanian and international venues on human rights violations in Belarus. There are currently 10 political prisoners in Belarus, according to the Human Rights Center Viasna. Freedom House, the Lithuanian Parliament and human rights defenders launch initiative to support Belarusian political prisoners | Belarus: civil society under attack | Freeales.fidh.net.